At Jeff's Pool & Spa, we provide our clients with high quality service and repair all year round. 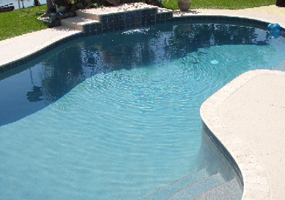 We offer services for nearly all of your pool and spa needs. You can always trust that WE WILL SHOW UP! ​It is important to keep your swimming pool and spa and all water features properly serviced and maintained. With professional maintenance, you will reduce replacement and repair costs, enjoy the maximum equipment performance along with maximum energy efficiency, and most importantly, insure a safe and healthy swimming environment.